ISO 9001 – Quality Management System. ISO 14001 – Environmental Management System. 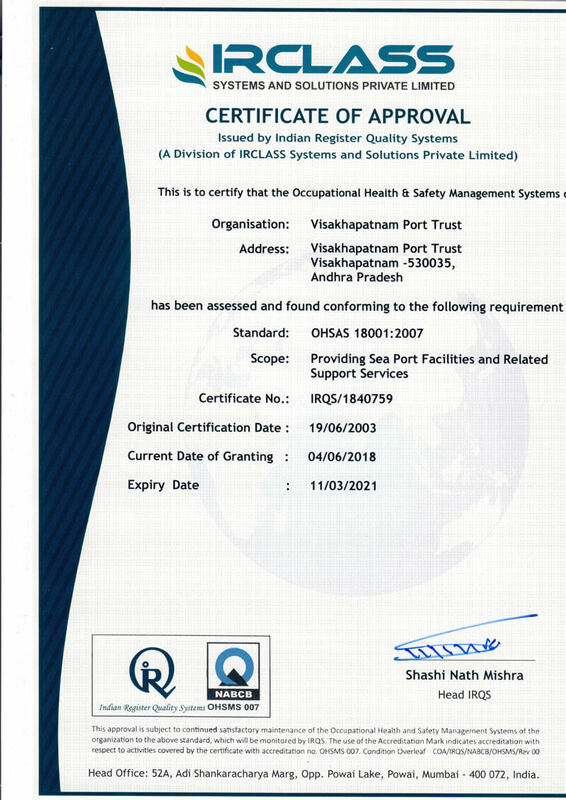 OHSAS 18001 – Occupational Health and Safety Management System. The only Indian port to have three international certifications. The Dredging to enable handling 200,000 DWT vessels (18.10m draft) cape size vessels in outer harbor was complted during 2014. NATIONAL SAFETY AWARD for outstanding performance in industrial safety Winners for the year 2002,2006,2007 Runner-up for years 1999, 2000, 2001 and 2003.